If you’re a paddler or fisherman and spend time on local rivers and lakes you have probably seen and experienced the Cliff Swallow. This bird arrives in middle-TN in early spring from March to early April from its winter home in Southern South America. 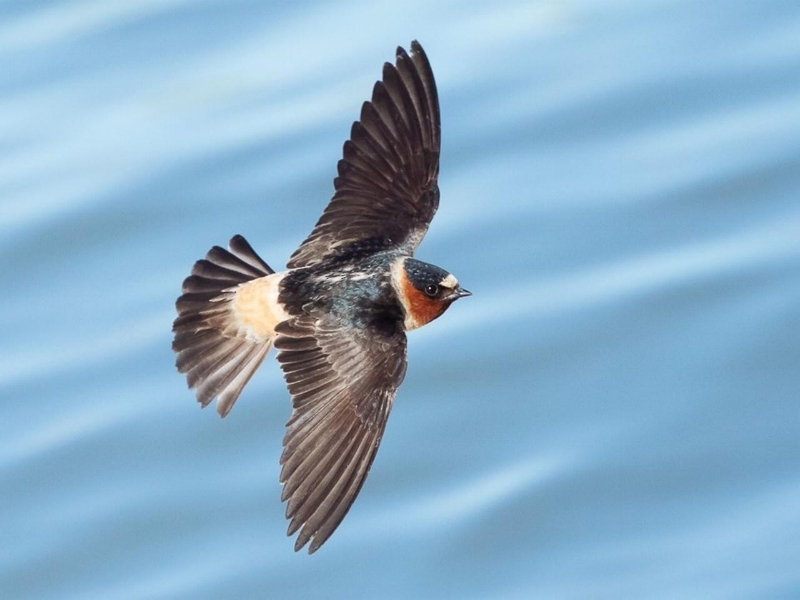 The Cliff Swallow is about 5.5” in length with a wingspan of roughly 13”. Like other swallows they are aerial specialists catching their main food source, flying insects, on the wing. It is similar to the Barn Swallow in appearance. The difference is the Cliff Swallow has a squared tail as opposed to a notched tail, and has a tawny, buff colored rump and a white patch on the forehead. It has a chestnut face with bluish black head. You must see one through binoculars to appreciate the beautiful color contrasts and details. Once a western U.S. bird only its range has increased from Alaska to New England and south into Mexico. The reason may be that they have continued to adapt to man-made structures like bridges and buildings for nest building. Cliff Swallows are colony nesters with most colonies numbering between 100 and 200 nests. Both male and female construct distinctive, gourd shaped-mud nests. The mud is shaped into pellets and one by one set in place. Nest building takes from 5-14 days but in many cases birds return to nest-sites and repair the year previous nest. Nests are placed on a vertical wall, usually just under an overhang and usually over water. The male and female tend to the nestlings, which fledge when about 24 days old. Some of you are seeing Bluebirds nesting for a third time. Usually by mid-August a third nesting will be completed, although I have seen a few times Bluebirds fledge in the first week of September. We stock live mealworms year round in case your Bluebirds need a little assistance. Currently we distribute mealworms in styro cups, however, if you have a suitable container at home (like a reusable plastic container)we can fill it for you. Just bring it with you and we can add the desired amount. The less need for styro the better. We are hearing from some of you hummingbirds are beginning to increase in number and frequency at feeders. Be patient if you haven’t seen much activity yet. This will change soon. 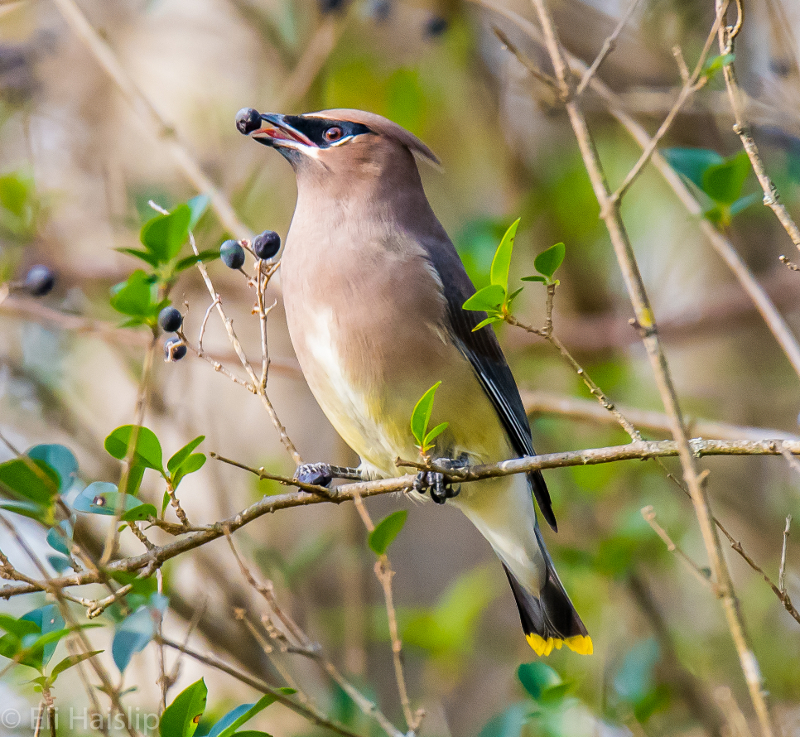 We hear all too frequently that people are leaving nectar in their feeders far too long. IMPORTANT! Nectar is only good in the feeder for 3 to 4 days, less if the feeder gets a lot of sun. You will not get much activity if the nectar is hot and spoiling. Be careful to not purchase too much seed as we enter the dog days of summer. Believe it or not the feeding will slow down at your feeders. Storing a lot of seed in a container for several hot months may result in a mealmoth hatch. Buying smaller quantities and using it up completely before getting more is a good strategy. The Wood Thrush Shop offers free at home Squirrel-proofing Consultations. John and Jamie have been busy making house calls assisting customers frustrated by squirrels. We know our product and where it works best enabling us to suggest real solutions to your bird feeding problems. It is in our best interest for you to have squirrel-proof feeding stations. We’ll make it happen. During the month of October several of our winter birds will be arriving. One of the less common is the Winter Wren. This is our smallest wren and can be found across the state October through April. I have seen them most often along the Harpeth River, making their way through dense underbrush in search of food; insects and berries. Don’t expect to see this 4” bird (Carolina wrens are 5 ½”) at your feeders, although it is possible. I have only seen this bird at a suet feeder a few times and only during the most bitter and snowy weather. You are more likely to attract them with brushpiles. 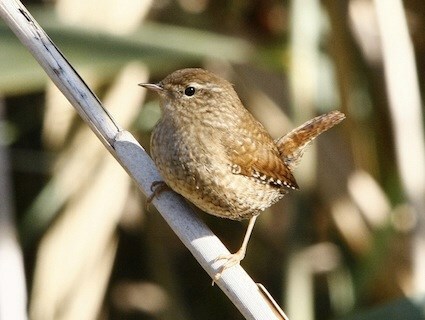 The Winter Wren is described as a very small, round, dark wren and has a much stubbier tail than the other wrens. It has an indistinct buffy eyebrow and a heavily barred belly. It is a busy little bird, bobbing and flicking its wings and tends to stay near the ground. It has a beautiful, complex song, however, around hear one is more likely to hear its “yip” “yip” call. A few good places to see a Winter Wren are the Harpeth River Greenway, Hidden Lakes Park, Gossett Tract, and Narrows of the Harpeth.